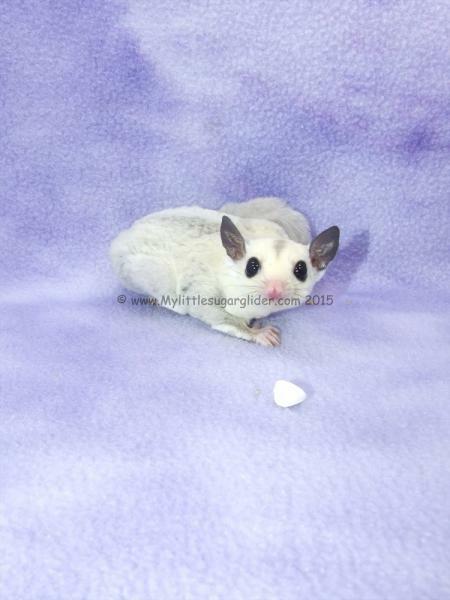 I have been owned by sugar gliders since 1997. Want to educate correctly on how to keep them happy and healthy for many years to come. All joeys are bred with a minimum of 5 generations of pedigree on each side (most have much more), to ensure that your gliders will be free of genetic defects due to inbreeding. My gliders are weaned onto the HPW Original Diet along with safe fruits, veggies and Pet Pro Supreme as a filler. Prices starting at $225 and up. Pet prices are listed and the price includes neuter on all males. Depending on coloration and if you will want them for pet or breeding. I can deliver as far as Las Vegas, Flagstaff and Phoenix for a gas fee. Can also ship using United or Delta Airlines at buyer's expense.